Sensor-1 Monitor auxiliary wiring adapter. Converts John Deere® corner post output to a Speed Pulse or (radar output) FOR DICKEY-john or John Deere Monitor. Sensor-1 Monitor auxiliary wiring adapter. 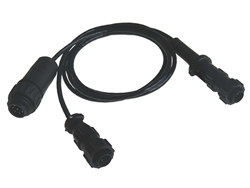 Converts John Deere® corner post output to aSpeed Pulse or (radar output) for Raven Monitor. 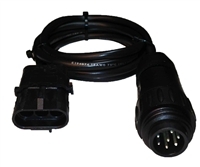 7 Pin JD Corner Post to 2 (DJ) 4 Pin AMP for speed signal. 7 Pin JD Corner Post to (DJ) and Raven for speed signal.